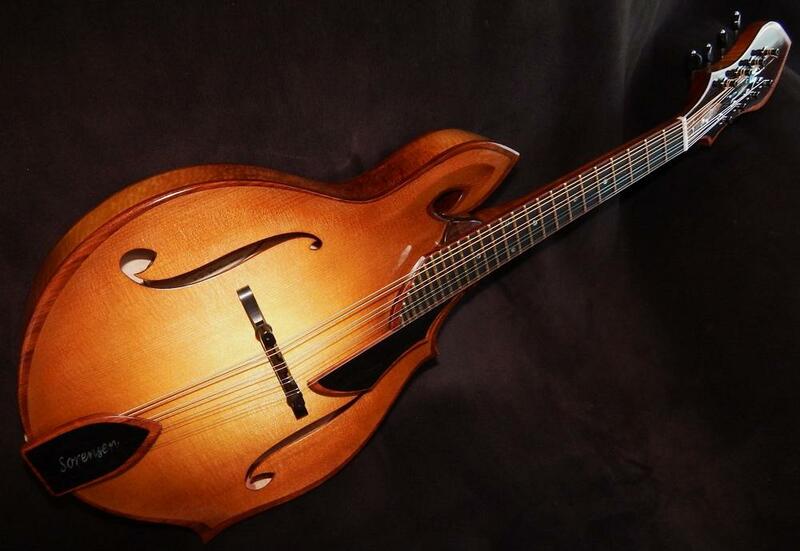 Steve Sorensen's latest mandolin: The FX! 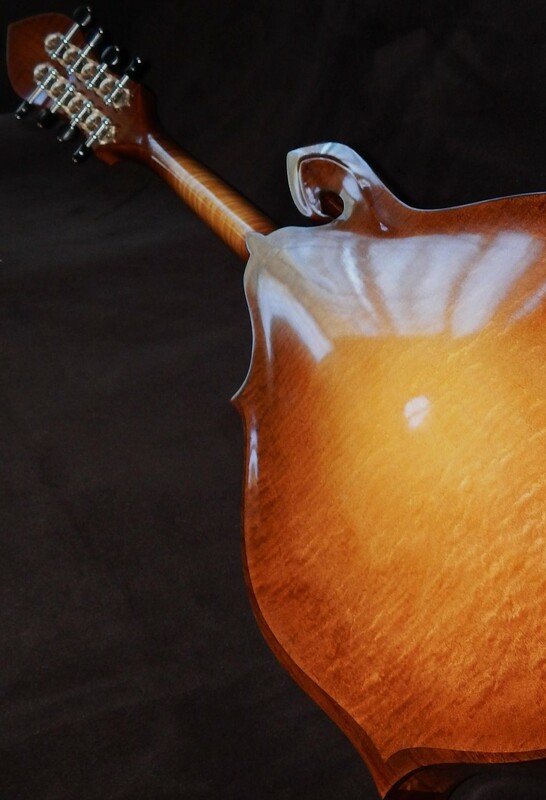 Steve Sorensen sent me a few photos of his newest mandolin design, called the FX. It's a rather fetching design that references the classic F5 look, but interprets those features in a new way. One of the qualities that I enjoy with Steve's mandolins is how everything you see design-wise in his mandolins feels all of one piece. 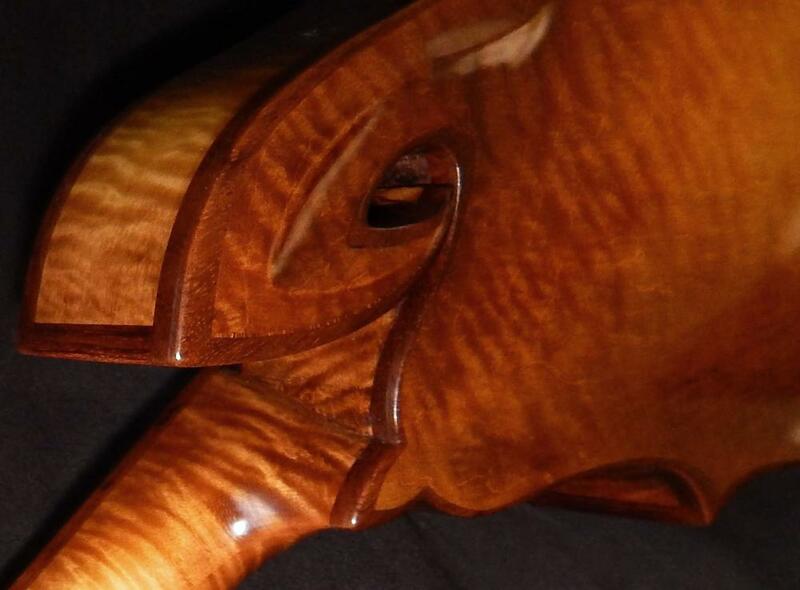 In this case, the spear-point-like shape of the peghead is shared by the scroll point and the tailpiece, and the pickguard looks like half of the peghead. So all the major design elements are tied to one another and the result feels balanced and harmonious. And I really like the generous wood bindings. He mentioned that it has a built-in arm-rest, but that is not evident in these photos. Anyway, I can't wait to see and hear more of the Sorensen FX. Looks like another winner!